The weather has been excellent for flowers and for the recovery of so many of the plants damaged this winter. We've had little tasters of oppressive heat - followed by days of cooler, bright weather. 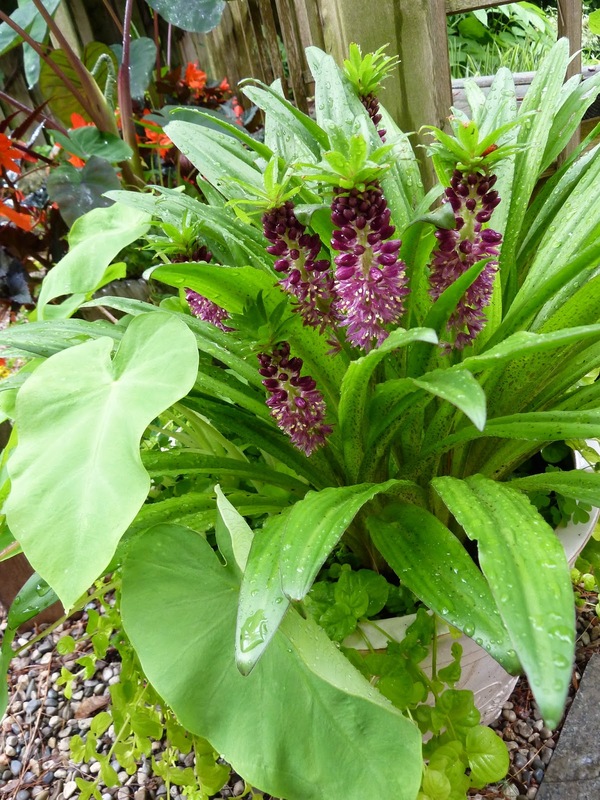 The rain has come by the bucket, making the garden look verdant and full of colour. So perhaps not the best year for tomatoes so far, but everything else is coming along well. Work on the Eastern White is scheduled in a couple weeks - so hopefully I'll be able to get the furniture down onto the patio without fear of being clobbered by bits of dead tree. As soon as that's complete, I'll arrange for the fence man to do the ice-storm repairs. So by September, we should be all set and ready to roll for lovely dinners in the garden. 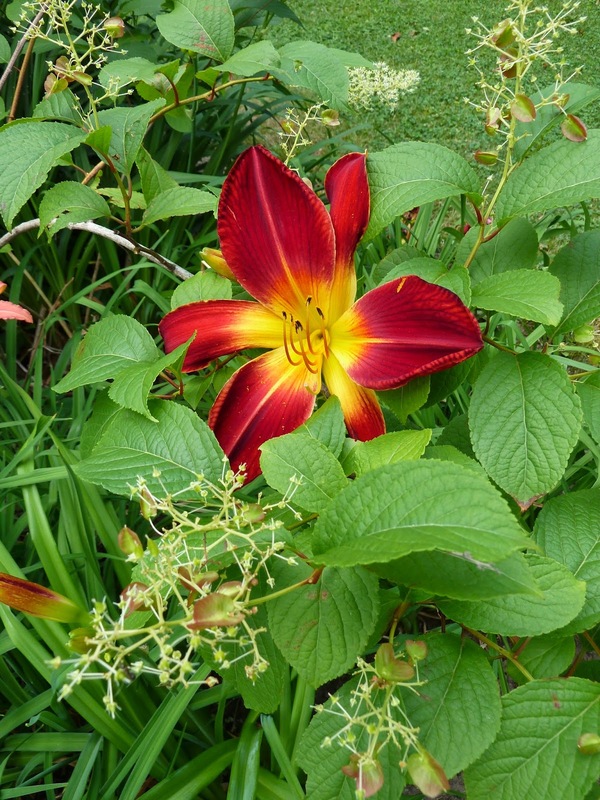 The garden is predominated by the colours of the Hemerocallis. When they're blooming so beautifully, I'm tempted to visit the garden centres to see what else is out there. Fortunately after a quick slap to the side of the head, I remember I truly have no room at the moment. Especially since I'm going to have to completely dismember a bed and have find homes for every little plant before November when the Ash is removed. 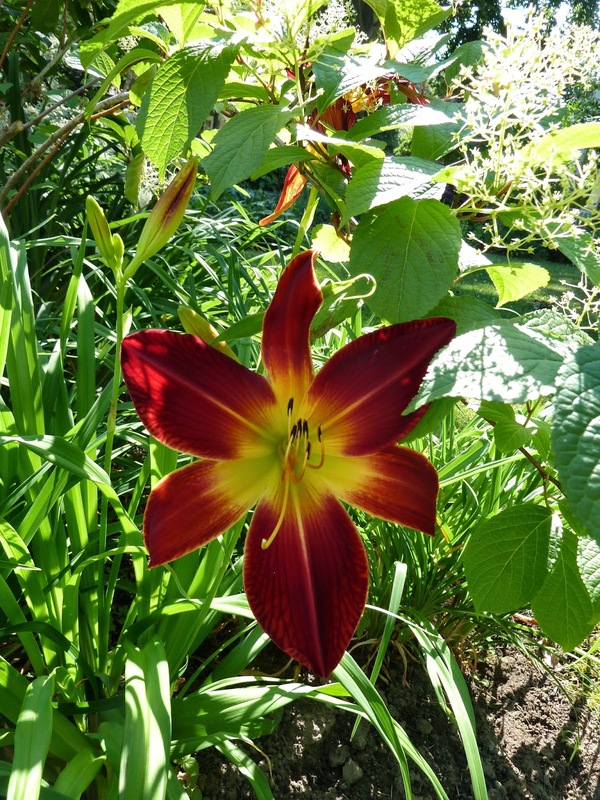 One of the reasons I'm so tempted by the newer varieties is this lovely red spider I've featured in the past. 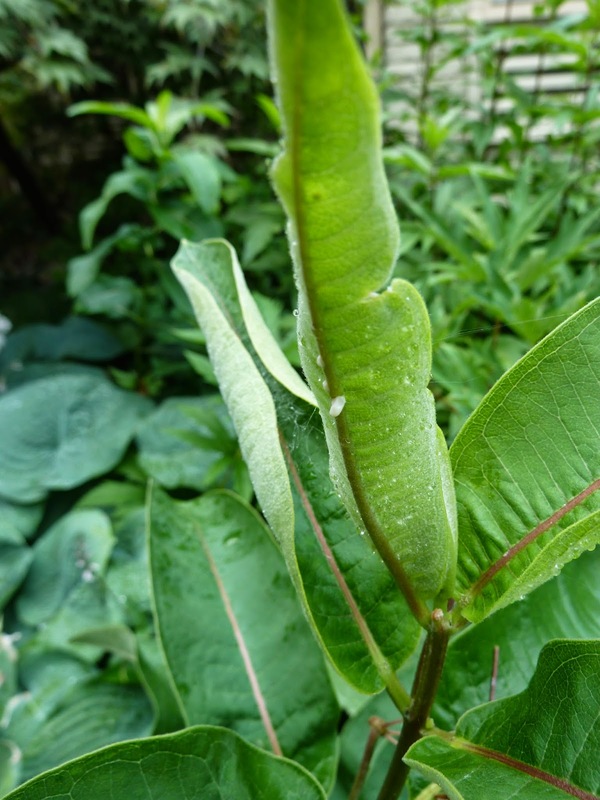 It has grown to a good size in quick order and unlike the older varieties, its leaves don't choke and fall. 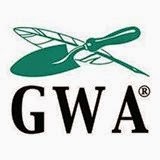 One less gardener-clean-up headache. I really don't like the puddles of dead that some of the other varieties produce. A pretty old spider collected from a property that was being given over to road development. Kwanzo making nice with the Inula. Other years this plant has been ravaged by little creatures that snack through the centre of the blossom....could it be that they are a casualty of this winter? Or perhaps they've become a snack themselves? More happy Kwanzo. If you like orange and doubles, and have room for a spreader, this is an excellent choice. Dependable if you've got the room. Lovely combinations of soft colours here - and a good reminder to folks to use things like Lamium from your garden in pots. 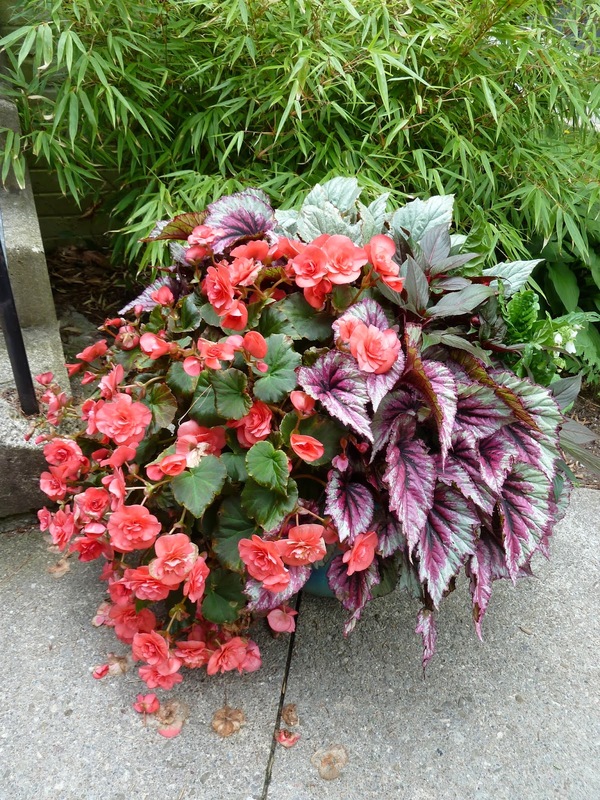 It's a good filler, and looks great with the Caladium and Begonia. 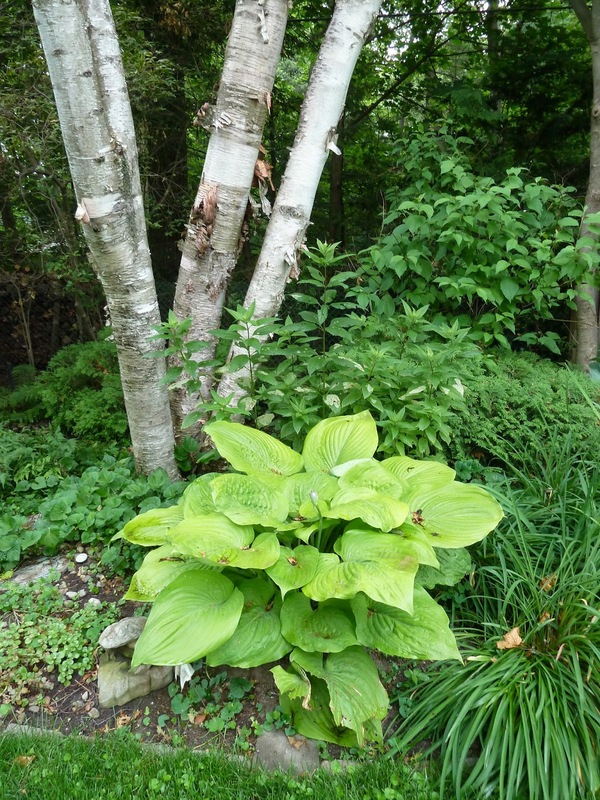 Shade gardens give you the perfect opportunity for leaf-mixing. 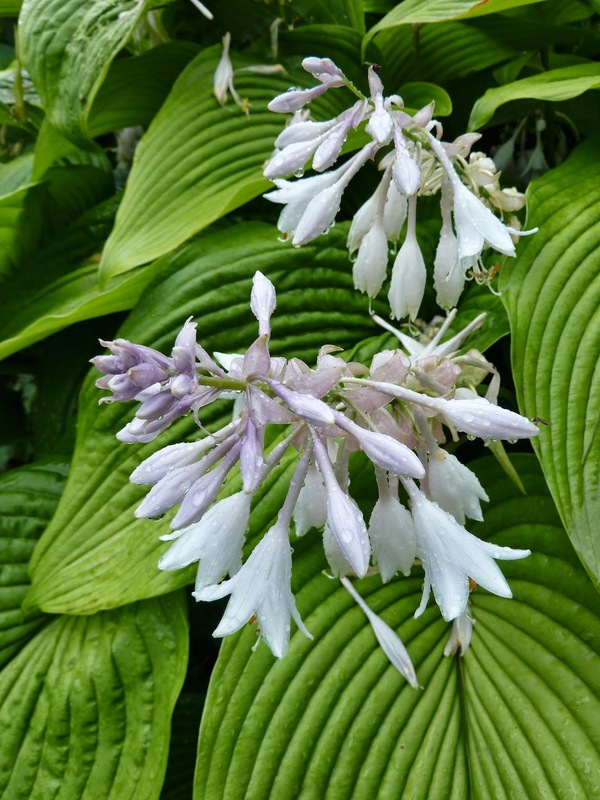 I think these two hosta look great together. Nothing like a good bit of birch. Peggy has a few more Japanese Beetles than I do. I hope their stomachs were really sore after this big feed. It's very rare for a hydrangea to stay blue for long - this is an Easter Grocery Store variety that is doing much better than some of the new named varieties I've planted. It's a shame I've got it tucked in a corner - maybe it will become part of the big move this fall? Who says that plants don't communicate? I'd say this flower ring is pretty clear...."get out here and split me up!!!!" Could this be a new butterfly egg? More Hosta to space-fill. One of the few to be eaten by insects. The Town of Oakville is asking everyone to treat their trees with TreeAzin. I had spoken to a scientist friend of mine who could not find any information on its toxicity on woodpeckers - my ash tree was full of them. Also it is not to be used around water - it's toxic to fish. We've got numerous underground streams being so close to Lake Ontario. So my decision was not to treat. Two independent arborists came to my house about the Ash removal and both said, "I hope you didn't put any of that crap on your trees - it doesn't work." Throughout Oakville - many of the treated trees are dotted with green. What I'd like to know is why the Town and the Chief Arborist are still pushing this product when it clearly doesn't work? This is the section of the garden that was construction-central last year - too many up/down shaped plants - but perfect for a long shot and condensed field of focus. Last shot of the day - more fog on Lake Ontario. Second occurrence in as many weeks which is very odd..... The cool wet air is something I'd never expect mid-July in Southern Ontario. It's almost as if someone has massaged the globe and used their thumb to push someone else's weather to our shores. I've always liked surprises, but I find these weather changes a little unsettling. I really do wonder what the next seasons will bring. 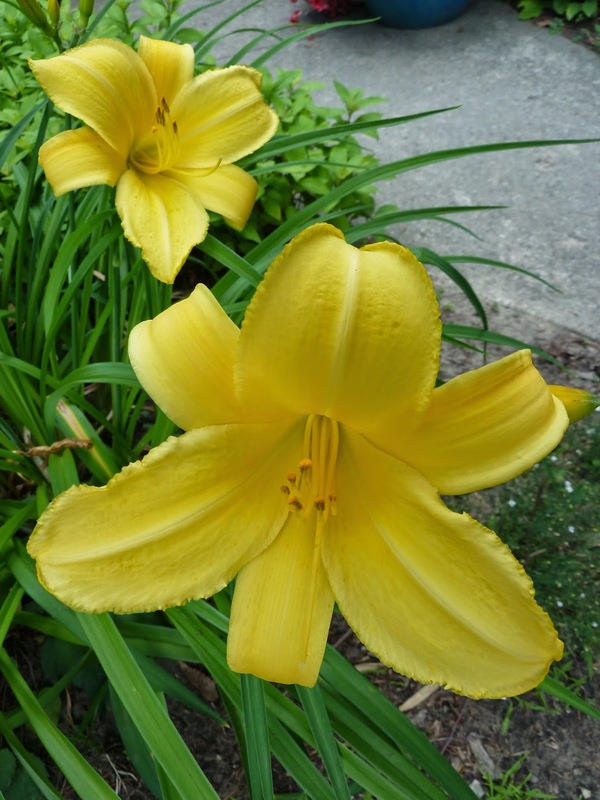 I don't think you can ever have to many daylilies. They are so indispensable at this time of year. 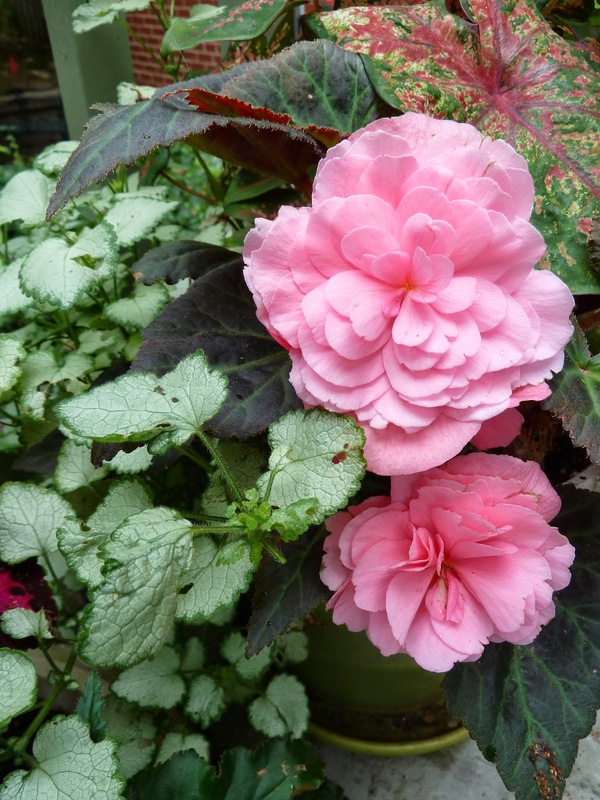 I want to have some nice pink ones and they are harder to find than one would think. I would also love a good white one with ruffled edges. 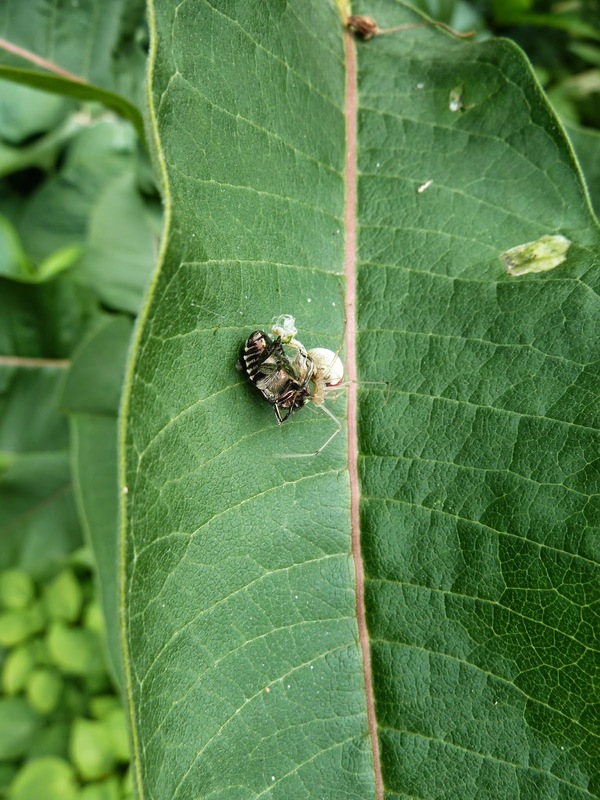 I laughed at your comment about showing Japanese Beetles no mercy. Is it just me or are there fewer of them this year? Perhaps that cold winter did some of the little bleeps in. I love you pineapple lily. What incredible color! The astilbe in front of that contemporary house are amazing, and for sure, they must spend a fortune keeping them hydrated. 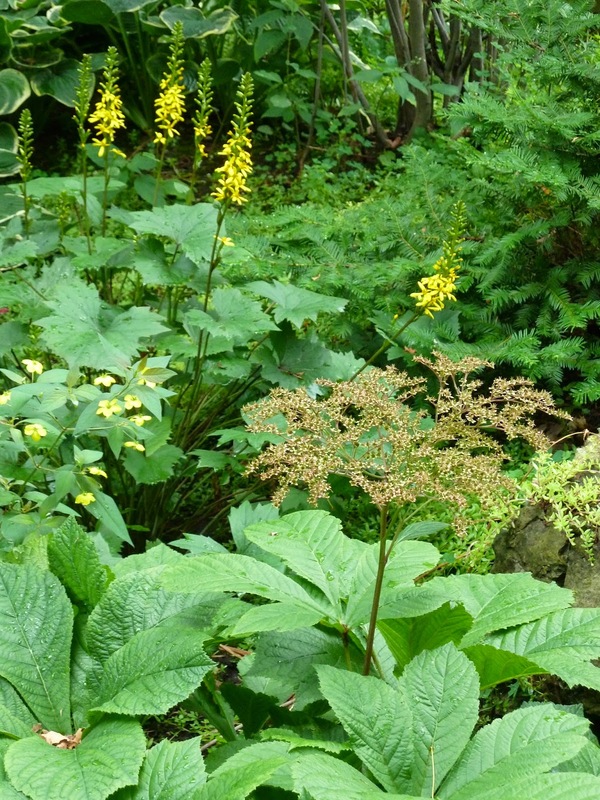 Love the ligularia and rodgersia pic. Jennifer - definitely fewer this year - hooray. 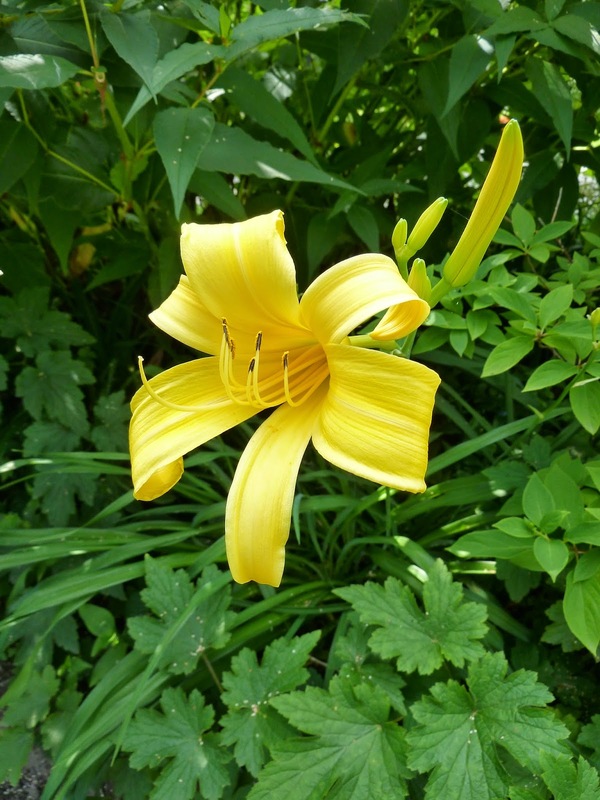 Let me know if you find a white hemerocallis - find the ones they pass off as white aren't really - often (to my way of thinking) just failed pale yellow varieties. Paul - oh yes indeedie, $$$ are no problemo. Thanks Paul.